Kana is one of the biggest collaboration of this year, so far finally gets the visual treatment. 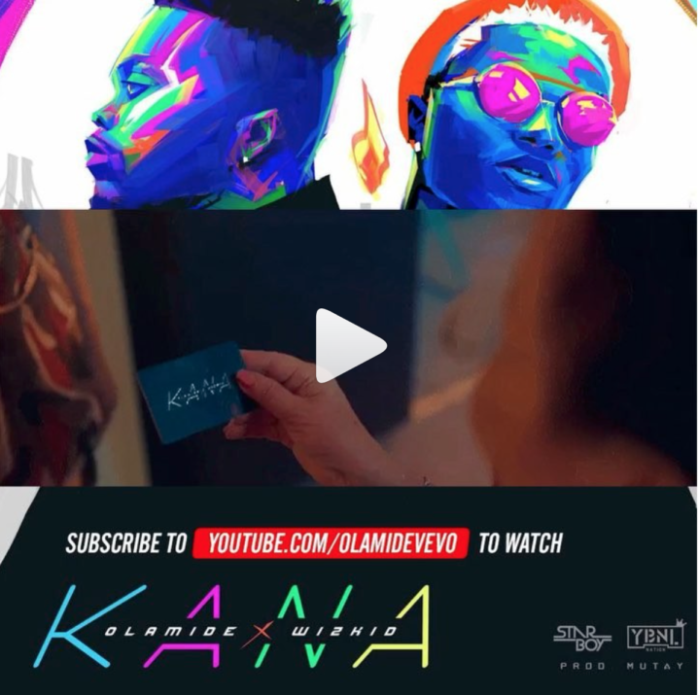 #Olamide dishes out the well-anticipated official #video to his smash hit single – “Kana” featuring #Starboy – #Wizkid. The video was shot in the states and it was directed by #Sesan but unfortunately Wizkid is not present in the video.